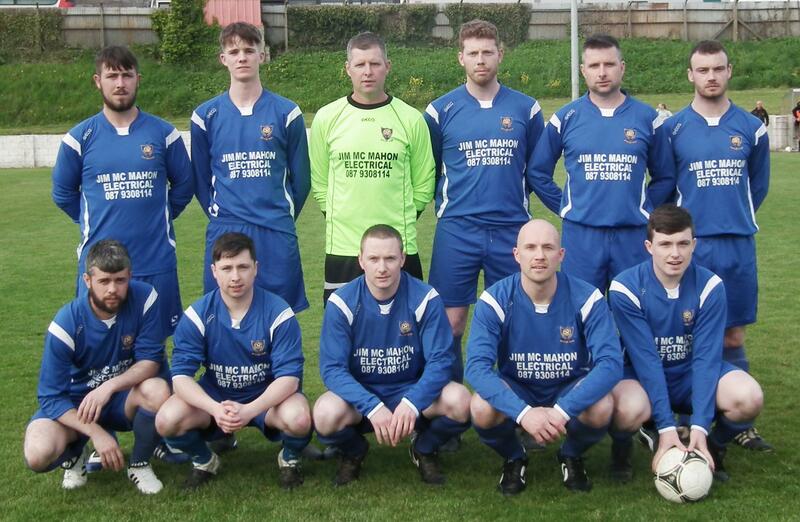 Newport perfected the art of hitting top form at the right time as they captured the Division 2B Eamon Ray Cup with an impressive 3-0 win over Pallasgreen at Jackman Park on Friday evening. With both teams out of the equation for promotion it was all focus on the cup and an evenly fought first half was tilted Newport's' way when the lively John Ryan raced clear of the defence to poke the ball past Denis O'Connor in the Pallas goal. The Tipperary side upped the tempo after the break and doubled their lead on the hour mark. Calem Harte played the ball wide for Brian O'Riordan who showed dazzled the Pallas defence with footwork before crossing. Duane Carroll headed clear but waiting 20 yards out was Richie Shinners who hit a daisy cutter through a crowded goalmouth to the back of the net. Before Pallas could attempt a comeback their tormentor in chief Calem Harte raced onto Jamie Collins long pass to lob the ball over the advancing keeper to wrap up the win.